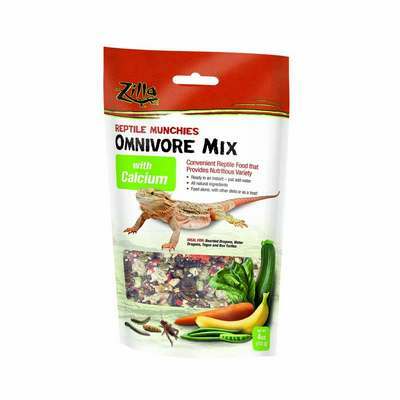 Reptile Munchies are a quick and convenient way to provide reptiles with a wide variety of vegetables and insects. The all natural ingredients are dehydrated and sun-cured and are ideal for feeding alone or as a treat. They are easy to prepare with a simple misting of water and now contain the added benefit of calcium which can help prevent metabolic bone disease in reptiles.